About me – interesting story? Since 1960, I have been involved with music and audio equipment. I hope you enjoy reading about me. The story begins in my mother’s kitchen. I was about twelve years old and a member of the church choir but loved all types of music. When my mother was out working I used her cleaning bowls as a drum kit. The drumsticks were heavy knitting needles and worked very well. I spent hours making a horrible noise but got better as time passed. The next step was when I ‘borrowed’ my father’s acoustic guitar. The guitar was his pride and joy and was kept locked up under his bed. But one day the guitar was left out by mistake and was the start of my real musical experience! After leaving school I served a four-year apprenticeship in electrical and electronic Instrumentation. This gave me an excellent background in the basic understanding of electronics and naturally tied in to music and musical equipment. I formed my own group (as most of us did in those days) and was fortunate to meet and play with some of the great artists who are still with us today. I was fortunate to see many of the groups performing live and actually got to play with some of them as I became more proficient in my playing. I actually watched one of the Rolling stones very first tours on ‘You-tube’ and saw how they improved over the years. And this is what life is all about – living, learning and improving! As time passed so did my direction and rather than play music, I began to work with live mixing, studio recording, and video production. I was always able to get a great mix and had the ability to create a musical picture. The positioning and re-positioning of audio equipment in the listening room came naturally to me. I was always ready to help friends set up their systems to paint that musical picture. I really loved the compliments and loved what I did but never realised it would take me to what I am doing now! I visited different countries worldwide and was able to see many beautiful places. My life was interesting because my business allowed me to keep up with my passion. High-end audio and I was always able to afford to buy the latest audio system. But my passion unfortunately drove my wife but we are still together! At the beginning of 2015, the oil and gas industry started to slow down. This told me the industry wanted a rest. As a result, many things began to change in my life. I live in Vilnius, Lithuania and became friendly with a group of doctors who were all ‘Tannoy’ loudspeaker enthusiasts. I began experimenting with audio cables and eventually found something that really worked. One of my Doctor friends advised me to get a name for my cables and bring them into the marketplace. Why? because my cables sounded so good. He said that every Audiophile needed to know they were available. This was ‘Doctors orders’ so to speak, so I created a website to bring my cables into the marketplace! Perkune audiophile cables, now entering the fourth year of business have been adding new ideas and techniques. Many days traveling to visit people with different systems for listening and evaluation purposes and all with positive results. Perkune audiophile cables can be used for domestic or professional applications. The range of cables Includes Home Hi-fi, Cinema, Theater, Boating, Automotive, Disco-tech, Studio or Live Recording. In fact, Anywhere high-quality audio is required. I am working with people on a daily basis and always looking for new ideas and ways to improve sound. 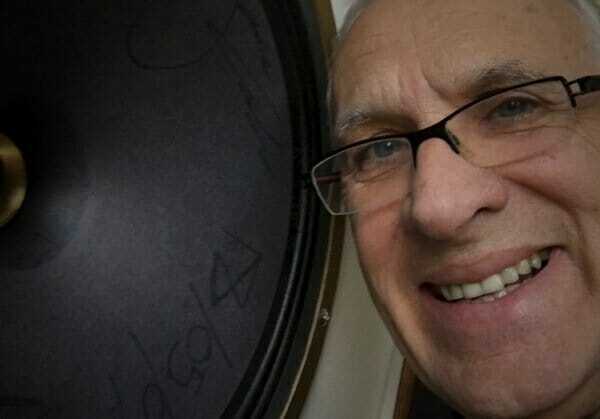 The month of March has been my busiest month ever and I have seen a pair of Tannoy ‘Reds’ that have been mounted in Autograph cabinets, a pair of 15″ Golds mounted in Autograph cabinets and a pair of Tannoy GRFs. This will be something to write about and I certainly will when I get the time. I have more cable sales this month than ever before and am actually working on three projects as I write! When it come to operations, I think the biggest step forward has been the development and introduction of the ‘AirGap’ isolation system. And the ‘AirTube’ suspension system. These two items help reduce vibrations and reflections and have made a big impact on the sound heard at the loudspeakers. The second change has been the introduction of Aluminum foil sheathing. Noise is not only a major burden but also a health hazard. This is why in the construction sector and in the industry and many other areas a lot of attention is paid to noise protection. Aluminum foils provide better sound insulation and help to eliminate unwanted noise sources. The Aluminum foils ability to absorb sound allows unwanted noise to be picked up directly at the source and prevent its further propagation. Aluminum foil offers 85% effect as a noise insulator. Which means, only 15% of the respective sound passes through it and an ideal component for use in audio cables. Last week (October 2018) it was my Doctor friends birthday and I presented him with a present. The Ultimate Gold power cord. He was amazed and just could not believe how well it was finished. My friend promised to report the performance which I will pass on to you as soon as it is available! It is now March 20th and at last my doctor friend told me he LOVES the sound from my cables and has a friend who needs some loudspeaker cable and could I help – so one good turn deserves another! Hi Paul, I write this as I am listening to these new Perkune Extreme Gold cables for the first time. All I can say is that I am astounded! I am playing a Frank Sinatra album, Frank, Frank and Nancy that I know very well and I can’t believe the spectacular sound stage being presented well beyond my previous Perkune Elite Cables and they are spectacular! I am hearing more detail than I have ever heard before! The transparency is amazing, theses cables have opened the signal path between my amp and speakers to whole new level. I am now playing a Chris Isaac album which tends to portray a lot of bass line, the bass is crisp, controlled and detailed allowing the vocals to be so well presented above the bass lines like I have never experienced before. Ray Lamontagne, Such a Simple Thing, which I am now streaming through Tidal, is a great combination of vocals, acoustic guitar, bass and slide guitar all of which is portrayed flawlessly with this new sound stage. These cables truly bring out the full potential of my system beyond what I have ever experienced before. I have auditioned other brand name cables much more expensive and these are by far superior in sound and build quality. The Ultimate Gold cables have me experiencing spine tingling, hair raising detail that I thought I had already experienced! Naim gear tends to be finicky when it comes to after market speaker cables. The Perkune cables work so well with this gear and maintain the PRaT that Naim gear owners love about the brand. In a word SPECTACULAR!!! My gear: Naim Nap 300 Dr, Naim NAC n 272, Naim XPS Dr, Fold Note TT, Dynavector 20x2H cartridge, Dynavector P75 Mrk IV phono stage, PMC Twenty 26 floor standing and Perkune Audiophile Ultimate Gold Series speaker cables – 3 meters. Bill Long Nelson B.C. Sounds like you have a sound life! Hello Roger and SOUNDS good to me! Interesting story to read andyou must have been a Shadows fan! I think that Hank B is responsible for what I am doing now!! !